His multi-year quest to document the Arctic took photographer Florian Schulz to the ends of the Earth. He camped for weeks in jarring winter conditions, accompanied traditional Inuit hunters and sailed the arctic waters, all to get an intimate look at life in the Arctic. There, he tracked families of polar bears, followed the vast caribou herds, and captured the Northern Lights in stunning detail. 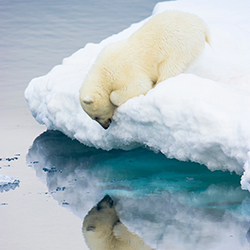 Through breathtaking imagery, the National Geographic photographer takes audiences on a legendary journey into the Arctic kingdom — with a special focus on the Arctic Refuge, one of the world’s last great wilderness.